BORN: Elmira, New York, United States, July 28, 1969. Selected by Montreal Canadiens in sixth round (eighth Montreal pick, 122nd overall) of National Hockey League entry draft, June 13, 1987. Signed as free agent by Philadelphia Flyers, June 30, 1995. Named to East Coast Athletic Conference All-Star First Team, 1990-91. 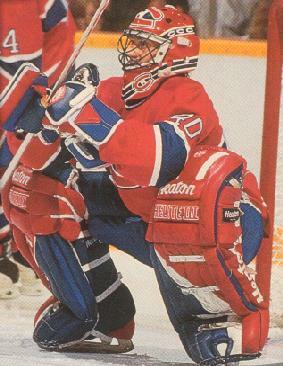 Selected by Montreal Canadiens in 1987 National Hockey League entry draft.